We provide consulting on public safety management for local governments. We are recognized leaders in the areas of fire department operations, emergency medical services, hazardous materials response, emergency management and contingency planning. We specialize in analyzing data to facilitate strategic planning decisions. We have undertaken fire and EMS studies for jurisdictions ranging in population from 8,000 to 3 million, including more than 50 studies for metropolitan city fire departments such as Chicago, Seattle, Houston, Jacksonville, Orlando, Washington DC, Worcester, St Paul, Pittsburgh, Cincinnati, Sacramento, Long Beach, Ottawa, and Vancouver BC. 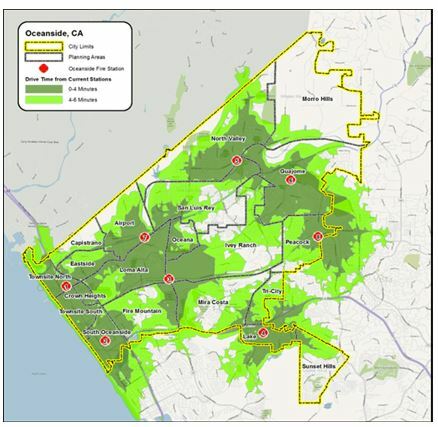 Our county clients include Riverside County and Alameda County, CA; Orange County, Broward County and Palm Beach County, FL; Prince William, County, Rockbridge County, and Calvert County VA; Horry County and Forsythe County, NC; Prince George’s County, MD; and our home county, Arlington, Virginia. 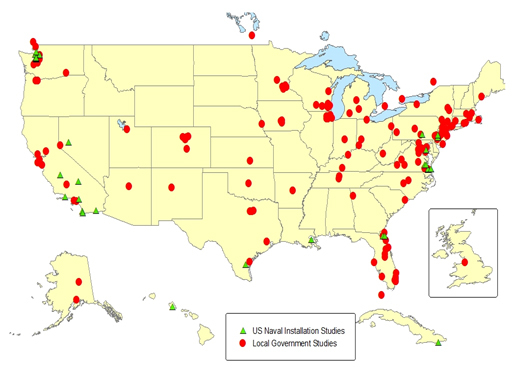 We also have analyzed fire and emergency services on US Navy bases worldwide. The map below shows locations across the US, Canada, and Great Britain where TriData has conducted fire and EMS studies. Many of the dots are sites of multiple studies. 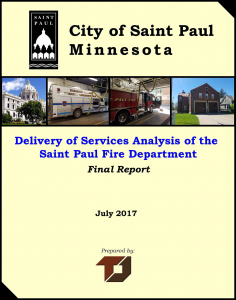 We excel in efficiency and effectiveness analysis of fire/rescue and EMS departments. We have helped develop plans for optimum deployment, and for functional and total consolidation of groups of fire departments. Implementation of TriData recommendations has resulted in reduced response times, improved ISO ratings, and optimized allocation of manpower and leadership resources resulting in cost savings and improvements in effectiveness.